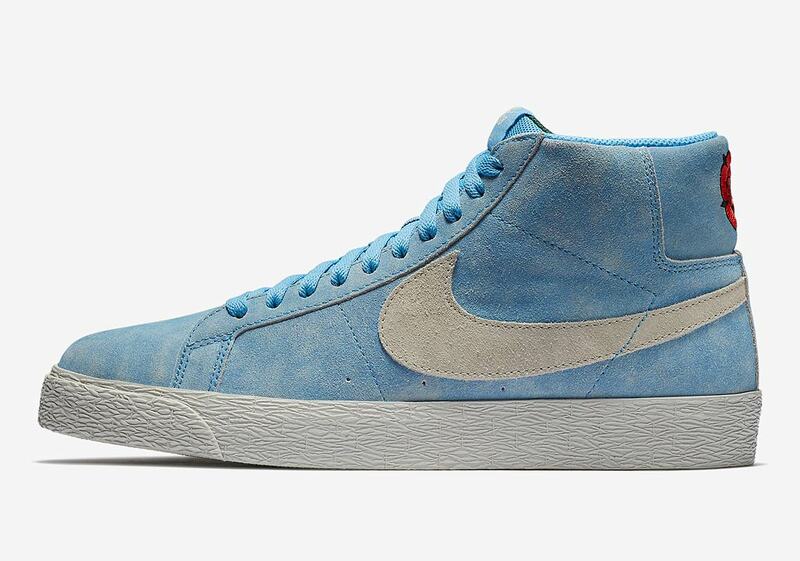 After 2014’s mis-matched Jordan 1 collab—inarguably one of the best shoes of the year—and last year’s rainbow swoosh Blazer Mid, Nike and prolific artist/OG skateboarding great Lance Mountain have joined forces again for another Nike Blazer collaboration. 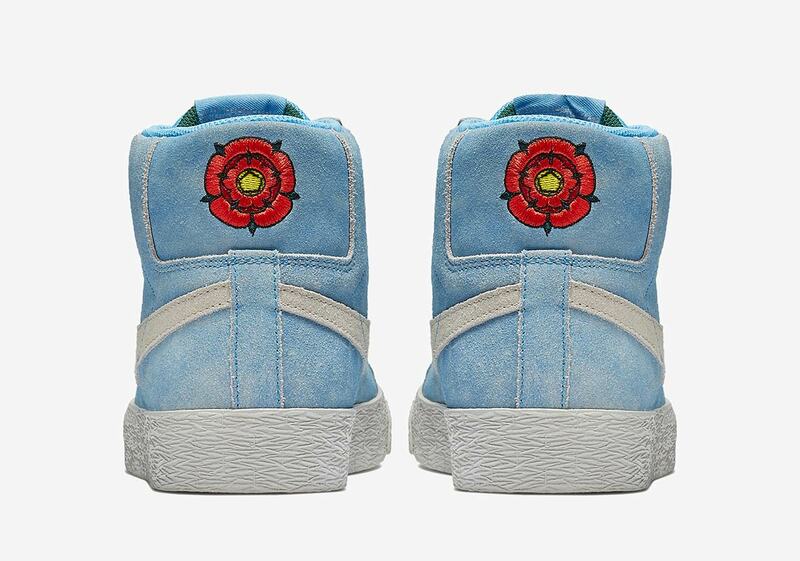 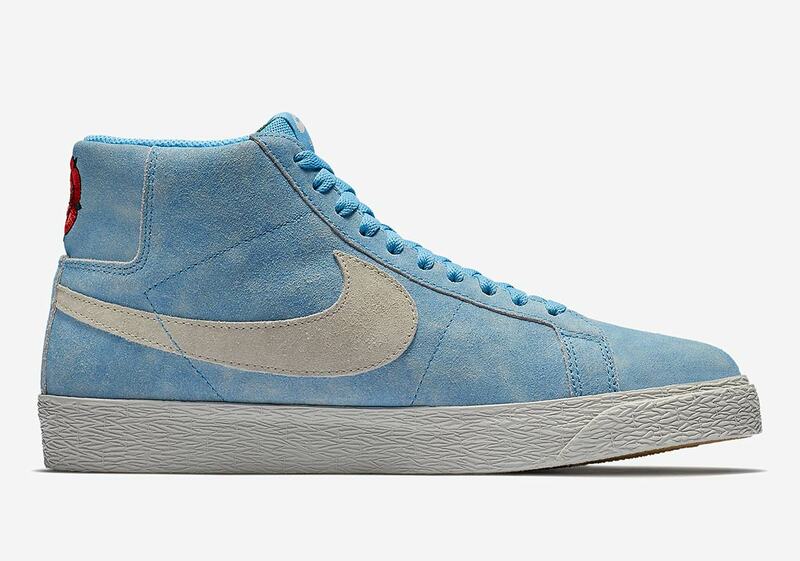 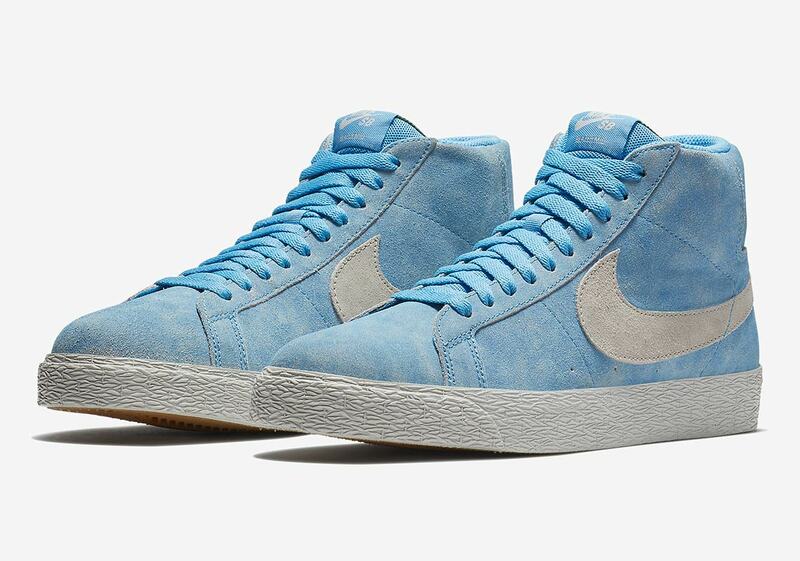 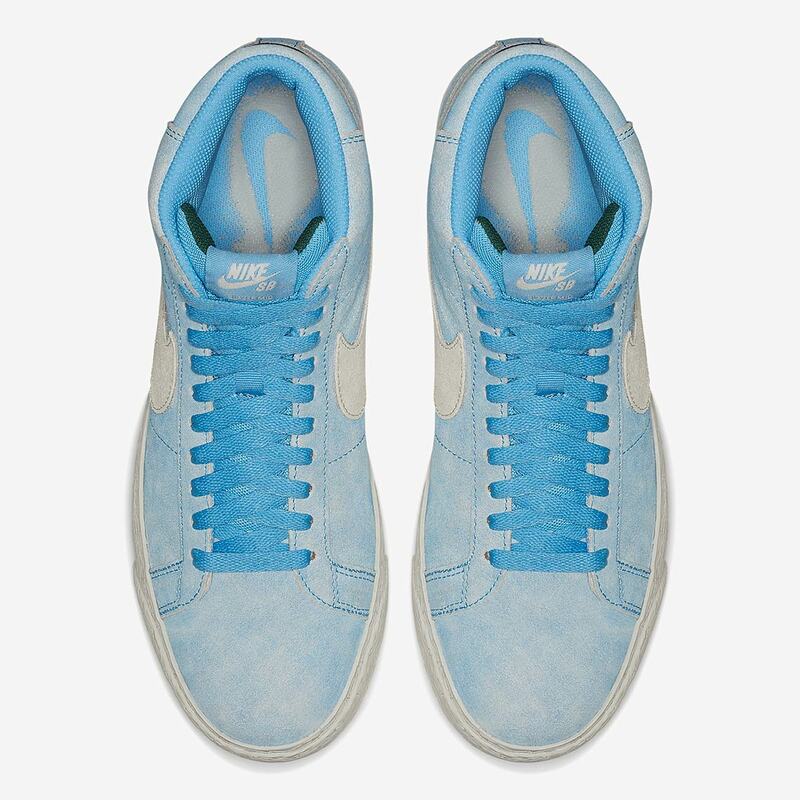 The shoe features an upper constructed of faded light blue suede reminiscent of a well-worn pair of denim, while accents arrive via the large white Swoosh and a bold embroidered English rose on the heel collar, inspired by Mountain’s English father. 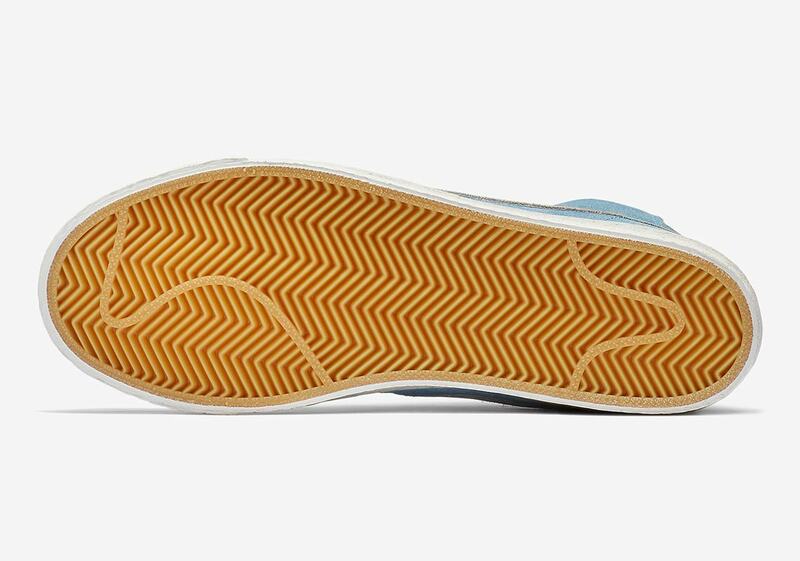 The shoe’s look is completed by a stately white midsole/gum outsole, and a Mountain-designed Nike SB stencil logo arrives on the sockliner for a little extra collaborative goodness. 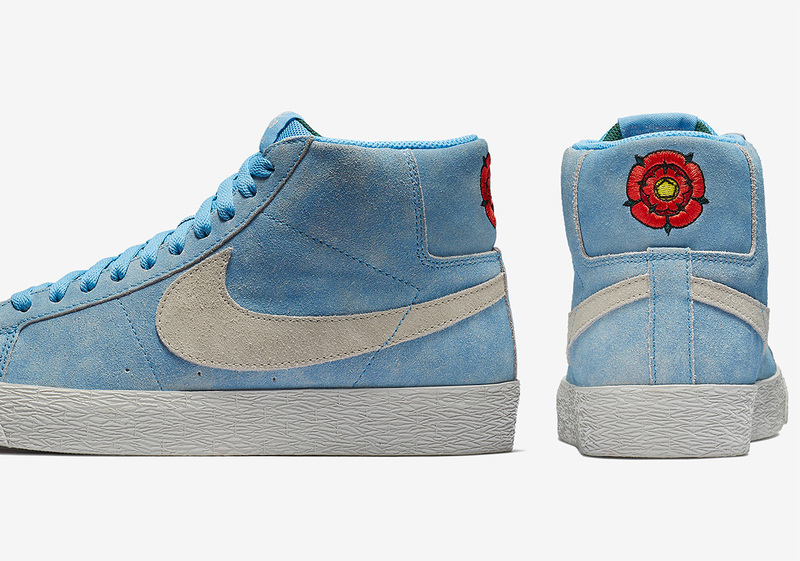 Look for these collaborative Nike SBs to release on Nike.com July 10th, with a economical retail price of $85.